Saint Seyia Pictures. To Be Honest I Dont Know Anything About This. So If আপনি Know The Characters Then Thats Cool. Sorry For The Bad Quality. Wallpaper and background images in the Saint Seiya (Knights of the Zodiac) club tagged: saint seiya knights seiya knights of the zodiac saint zodiac. 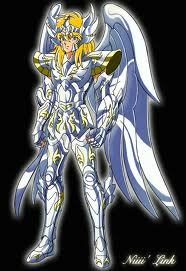 This Saint Seiya (Knights of the Zodiac) photo might contain fleur দে প্রার্থীর জন্য সমান and fleur দে lys.